Music and entertainment mogul Russell Simmons has been a longtime supporter of gay rights and marriage equality. This week that support is becoming even more visible: The hip-hop pioneer will be honored by GLAAD and is speaking out in a new video for marriage equality in New York state. 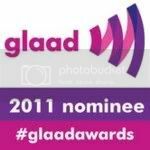 Simmons will receive GLAAD's Excellence in Media Award at the New York award ceremony on Saturday, March, 19, 2011. The award is "presented to media professionals who, through their work, have increased the visibility and understanding of the LGBT community." In 2009, Simmons wrote an open letter to then-Governor David Paterson of New York urging him to push forward with a marriage equality bill. And you may recall that in 2010, Simmons urged Congress to repeal "Don't Ask, Don't Tell" and tweeted his "proud support" of Lt. Dan Choi to his 340,000+ followers. Simmons has done some excellent work on raising awareness on equality among hip-hop audiences. Bravo. Rod 2.0 is also nominated for a GLAAD Media Award. "Rod 2.0 is also nominated for a GLAAD Media Award." That is good news indeed. I hope you win! Co signing Derrick and Distant Lover. I was so proud of your nomination, Rod. You do tremendous work and so low key. Rod I really do hope you win. The visibility you bring concerning both general and specific issues regarding Black, gay America is both important and enpowering. Thank you for your work. Congrats to Simmons also. Maybe GLADD will make it a Blackout and evryone Black will win their catagory. Wouldn't that be gay history in the making!! And let's hope Rod2.0 gets the GLAAD award it so deserves!